The founding father of bow hunting, he touched every aspect of the sport. Design and production led Bear Archery to be one of the largest outdoor manufacturers on the planet. Fred Bear was an innovator but was also so much more. He still holds two Pope and Young records and at one time was the only hunter ever to hold 5 Pope and Young records at once. His Brown Bear and Stone sheep still are looked at as an unbelievable record for a man in his 60’s and were harvested with a long bow. 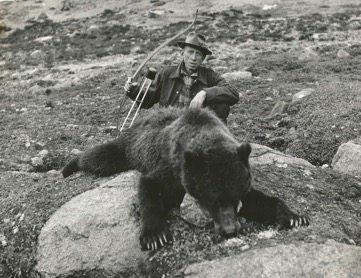 Fred Bear was also instrumental in starting the first bow season in Michigan in 1937.